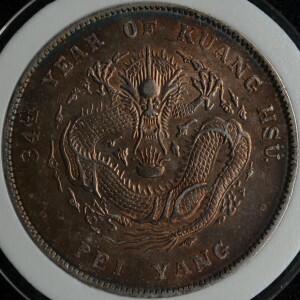 I have been to Chengdu in December and made a detour by the local coins market during my stay there. 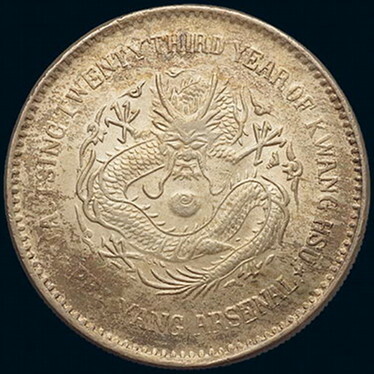 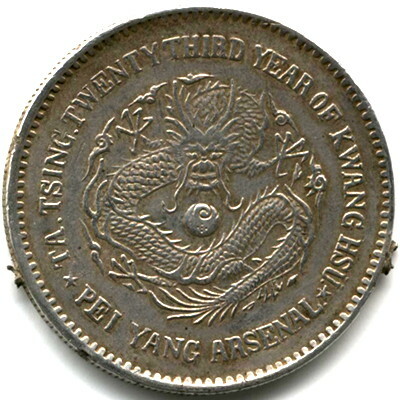 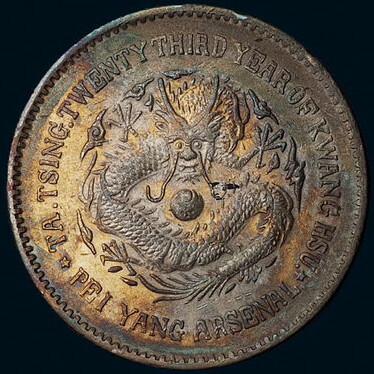 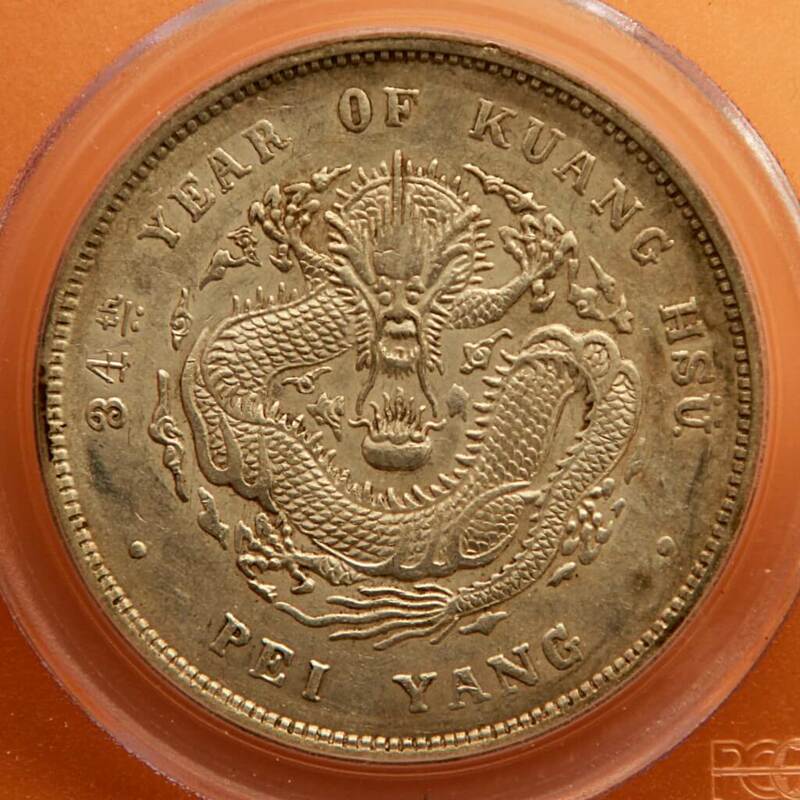 The 1908 Chihli dollar is a very common coin, but one specimen I saw there caught my attention, for it had a very uncommon feature: a huge dot just above the back of the dragon. Since the coin did not look like a forgery, I bought it for the regular market price of the time, about￥2000 CNY. 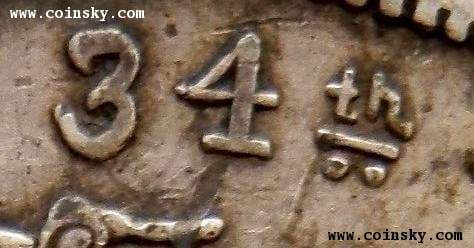 As soon as I went back to the hotel, I started looking for information about this peculiar variety online. 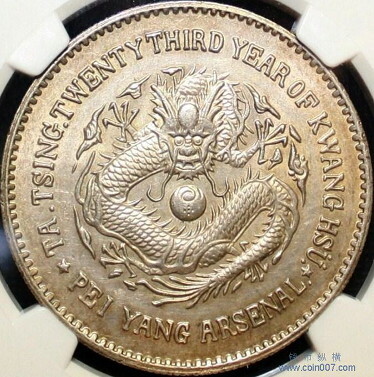 Despite scouring many online boards and obscure blogs, I could not find any information about it. 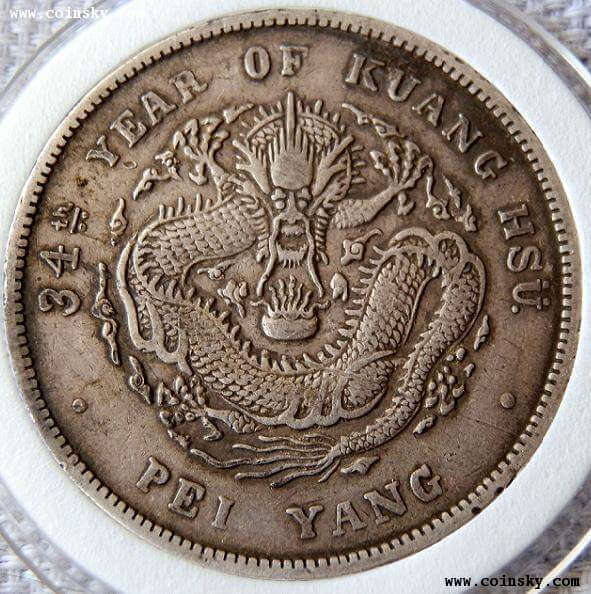 I was only able to find a single picture of a coin just like the one I had just purchased, but it was not taken to illustrate the variety: simply for sale. 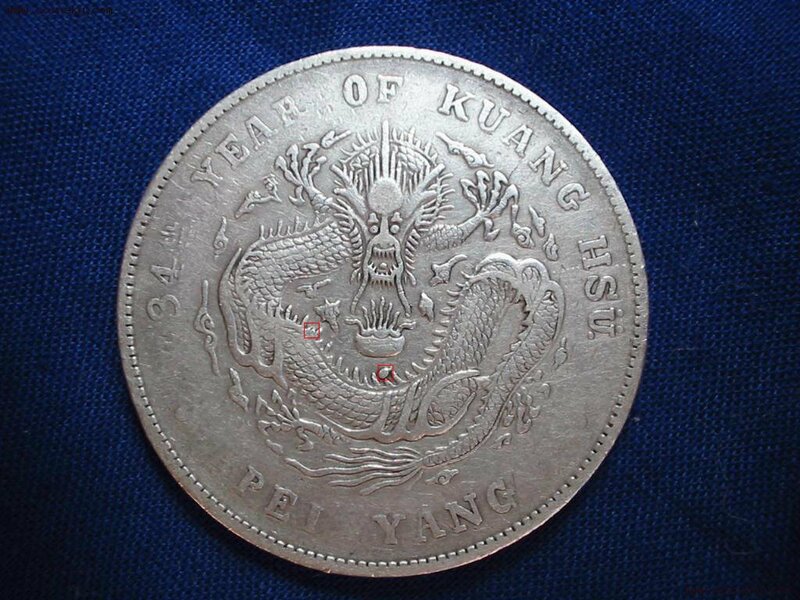 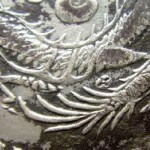 When I went back to Beijing, I showed my coin to several of my coin dealer friends. All of them confirmed it was indeed genuine, but only one of them had encountered this variety before. 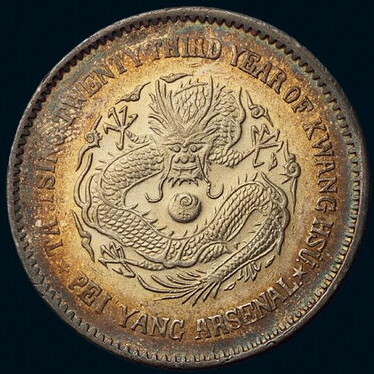 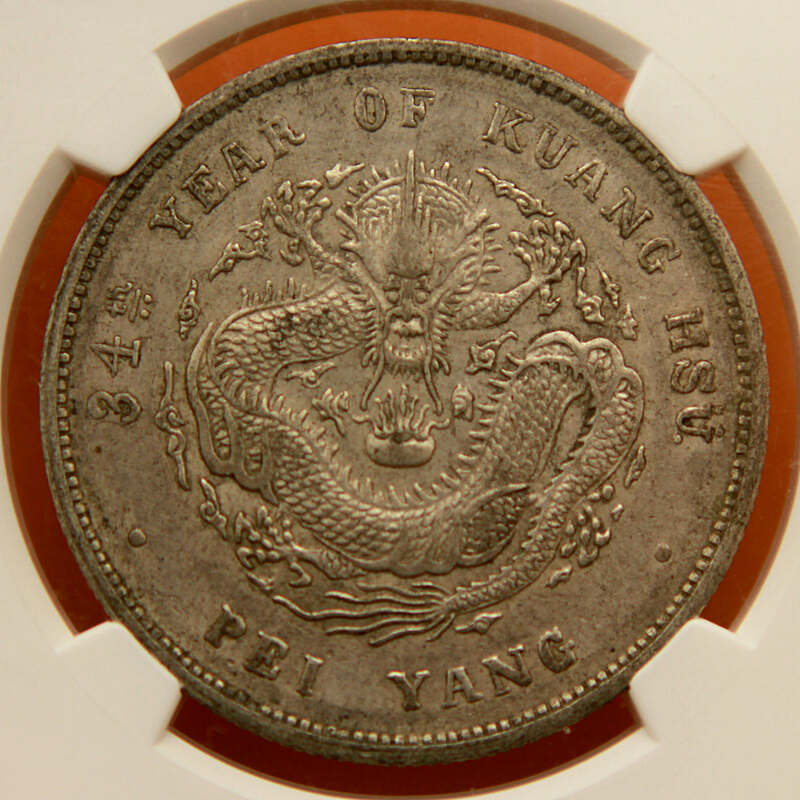 He had seen two such coins in his career, but did not knew anything about the history behind this strange variation. 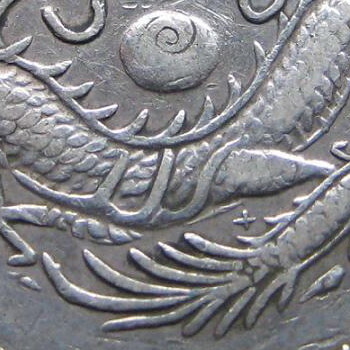 My theory is that since at least four coins exist with the exact same differences, including the smaller dot between the spines, proves it is not the result of a freak minting incident but a bona fide variety. I sent my own coin to NGC this month, and I hope getting my specimen slabbed will be a first step toward recognition of this very scarce variety!